Learning and Doing is for anyone keen to develop learning skills or to enhance their problem-solving powers. It will help you develop your own strategies by recognising blockages and then using the techniques of generalizing and specializing to identify routes to a solution. Examples are varied. Many are mathematical in flavour, but they are accessible to anyone with an interest in the subject and the methods proposed apply across the curriculum and indeed to everyday situations in modern life. Developed at the Open University, all the material is tried and tested. 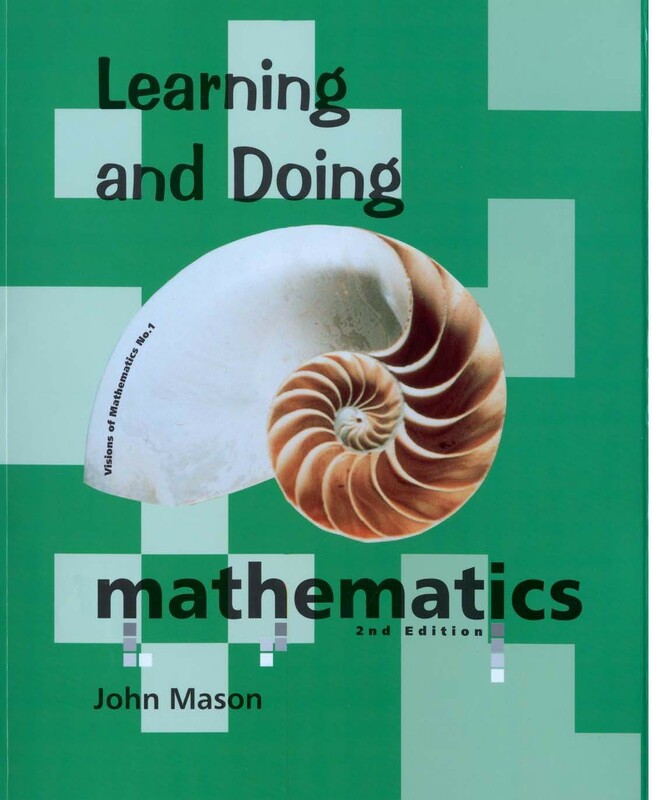 Professor Mason’s style is relaxed and colloquial – accessible to all, whether a teacher wanting to use it for examples and fresh ways to inspire, or a parent or student wanted to boost their learning and broaden their mathematical thinking. When is an Argument Valid? Five Interludes are presented between the chapter – to provoke practical mathematical thinking, and have some fun.